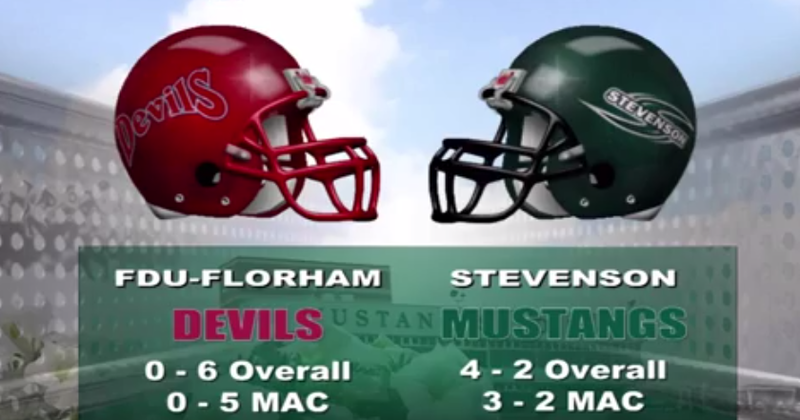 The Stevenson football team earned it's first win on Homecoming Day with a 57-0 victory of FDU-Florham at Mustang Stadium in Owings Mills, Md. The Mustangs were lead by Trey Lee with his record-tying four touchdowns while the defense pitched their second shutout of the season. The win gives Stevenson it's first five-win season as the squad improves to 5-2 overall and 4-2 in conference action.